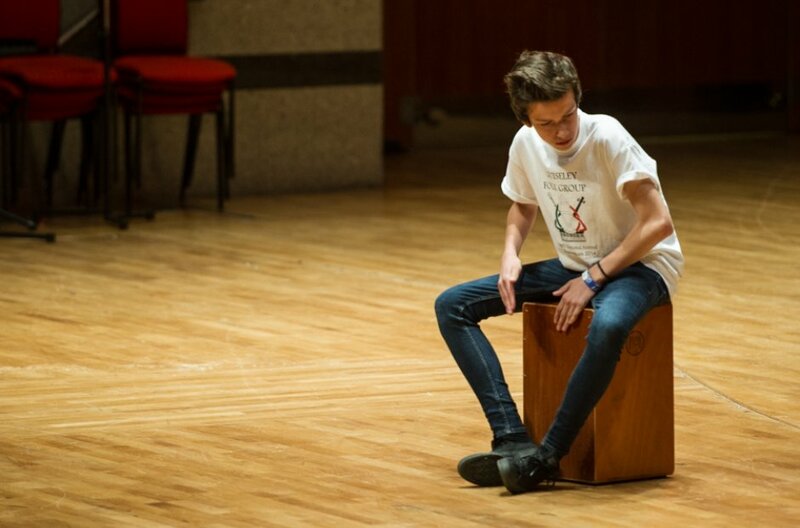 Another superb, inspiring Music For Youth National Festival is over - here are the highlights from a dazzling week of music-making in Birmingham. 14. Walthamstow School For Girls Year 10 Steel Band: "Sticks on Fire"
Making everyone hungry with a performance of Popcorn Pizza by Helen Butterworth, followed by Laura's Lullaby and Sent My Brown Jug Downtown, newly honoured Kathryn Smith MBE took to the stage with her lively choir. Performing music by Michael Jackson, arranged by musical director Mark Lewalski, as well as a piece composed by him, Party Popper. Performing Armenian Song by Khachaturian and Puszta by Jan Van der Roost, the Oxfordshire Clarinet Choir take to the Recital Hall stage. Head of Music James Olyott is back on stage, this time, with his girls' vocal quartet! The young musicians even performed a student composition, The Cloths of Heaven, by James Bartlett - along with Pharrell's Happy, of course. Serenaded by a barbershop quartet, the Recital Hall audience were treated to boaters and braces - and suitably lively music, of course. St. Aidan's C of E High School Symphonic Wind Band took on the choral might of Eric Whitacre in a wind arrangement of his Lux Aurumque. Albemarle String Quartet followed that Schubert with some more Schubert, this time the Quartet in A Minor. Elgar was the order of the day for The Brook Quintet at the Recital Hall on day three of MFY's National Festival.